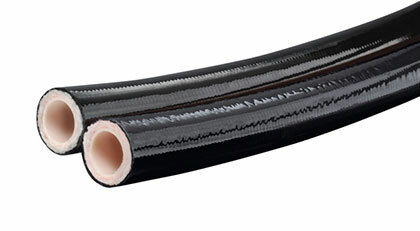 Piranhaflex™ Thermoplastic Hydraulic Twin Line Hoses: Now available at your nearest Kuriyama warehouse are Piranhaflex™ 100R7 and 100R8 twin line hoses in ID sizes 1/4", 3/8" in 250 ft. reel lengths and 1/2" in 200 ft. reel lengths. Other Twin and Multi Line hoses are available on request and can be made to order. Click here for more info.